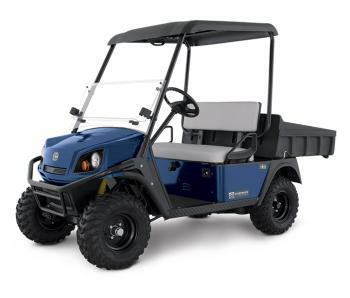 Cushman utility vehicles are known around the world for versatility, durability and dependability. We offer a complete range of heavy-duty industrial material-handling vehicles and comfortable personnel carriers. What Vehicle is right for your application? Cushman designs and manufactures a full line of personnel and burden carriers including the popular Titan, Stock Chaser, Minute Miser, Haulster and Commander models – which are all part of the broadest line of utility vehicles on the market. With payload capacities up to 3,000 pounds, there’s a Cushman vehicle for almost any application. 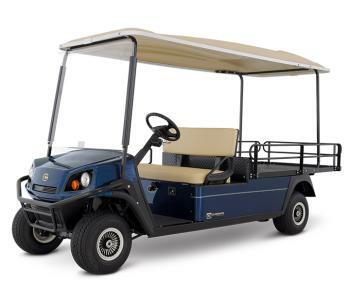 Cushman/EZ-GO even offers a Bellhop courtesy vehicle line – which is ideal for transporting guests and clients in style and comfort.